UT Arlington is a university with a lot to brag about. You may not know how truly special it is, but you should take the time to find out. The faculty members at UT Arlington are one reason why this school is so special. You might think that the best faculty are teaching exclusively at Ivy League schools or the biggest universities in the state, but that’s not the case. Research activity is commonly used to measure faculty accomplishment, and UT Arlington is classified as a research extensive university according to the Carnegie Foundation for the Advancement of Teaching, meaning that the faculty teaching your classes are engaged in meaningful research and are highly respected by others in their field. UT Arlington faculty are also known for their excellence in teaching. In addition, UT Arlington has a variety of facilities and programs that enhance the learning experience and set it apart from others. For example, the state-of- the-art Smart Hospital gives nursing students the opportunity to work on mannequins that simulate human conditions and symptoms. And, the UT Arlington Planetarium is one of the most advanced in the Southwest. The University also has an Honors College which allows students in any academic discipline to add additional rigor to their degree program and earn the distinction as an Honors College graduate. The faculty, staff and students are committed to UT Arlington and the community that surrounds us as evident by our campus-wide dedication to initiatives that continue to develop engaging learning experiences inside and outside of the classroom. 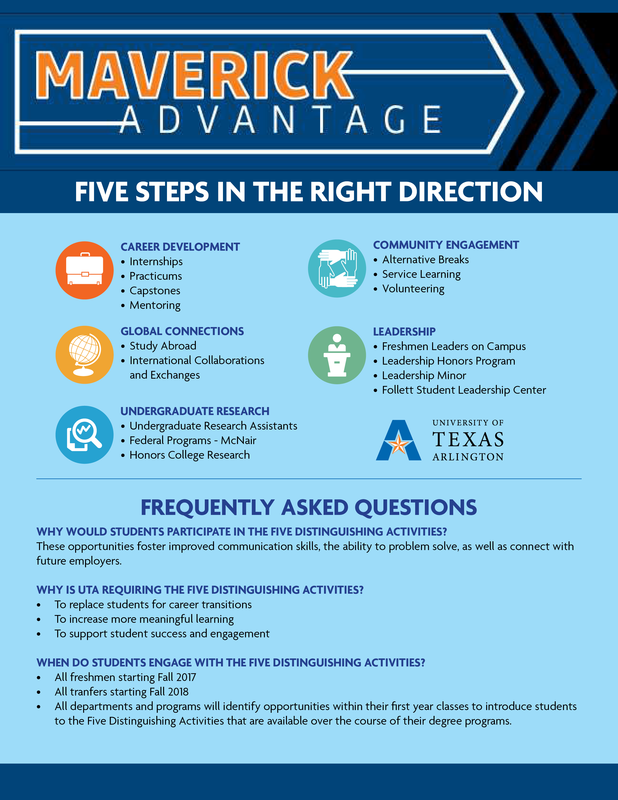 Consider what impact the following UT Arlington initiatives will have on you. Active Learning for Critical Thinking: What Is Active Learning? College is more than sitting in class, absorbing information, and just repeating it on a test. Through active learning, you put yourself at the center of your own educational experience. You learn by doing. As a student, you’re not simply a vessel into which professors pour facts, or a “knowledge consumer” waiting for wisdom to be transferred. Becoming an accomplished thinker requires that you not only take in facts, but that you integrate these facts into your own sense of how the world works. Although professors can help you in this endeavor, you are ultimately responsible for constructing your own unique brand of knowledge. From the professors’ perspective, Active Learning encourages us to look beyond traditional models of college teaching, offering more than “chalk and talk.” Faculty find ways to get you intellectually engaged through in-class activities, service learning opportunities, and assignments that address real-world problems. While these activities may often add an element of fun, there’s some- thing deeper at work. Through active learning, you stimulate and build critical cognitive functions: your capacities to analyze, apply, synthesize, and evaluate information—not just memorize it. You’ll know you’ve succeeded when you create something new: a work of art, a better mousetrap, or a truly persuasive argument. So, how can you make the most of each learning opportunity? First, come to class. Showing up is job one. Second, arrive prepared. The more time spent learning the facts on your own (do the reading, take good notes, etc. ), the more time your professors can spend helping you understand the material more fully. Third, stay involved, ask, and participate. Be more than a warm body occupying a seat. Finally, strive to understand how each facet of your education shapes the future “you.” As an educated member of society, you’re more than a collection of facts. Rather, you realize how diverse parts of the universe are connected in sometimes surprising ways. You are comfortable looking for new approaches to solving complex problems at home, at work, or in the community. … And it’s this “you” that we’re here to help you discover. Be part of the process. The diversity of the students at the University of Texas at Arlington in race, ethnicity, age, physical ability, religion, national origin, sexual orientation, and socio-economic background is one of the university’s many strengths. In recognition of this, the UT Arlington was recently listed by the U.S. News and World Report in the top 10% for student racial diversity among 200 U.S. universities. Students from 115 countries are represented among the student body, and this diversity is celebrated each year in International Week, and throughout the year via a rich, welcoming environment. In addition, the nationally competitive Movin’ Mavs wheelchair basketball team highlights the unique talents of the players and other students with disabilities. The diverse backgrounds and experiences of members of the UT Arlington community make the university a fertile ground for learning and provide students with distinct advantages after graduation. Through investments in the Maverick Speaker Series, the Diversity Lecture Series, the Department of Multicultural Affairs, Service Learning Projects, Learning Communities, and courses, students have numerous opportunities to increase their under- standing and appreciation of diversity. There is clear evidence that college students profit from living, studying, and working in a diverse environment, benefiting them in the short- and long- term. In such an environment, students begin to see commonality in values with those who are different (Gurin, Dey, Hurtado, & Gurin, 2002; Gurin, Dey, Gurin, & Hurtado, 2003; Gurin, Nagda, & Lopez, 2004). After just one year of studying in a diverse university, students are more able to take the perspective of others, more interested in poverty, and more supportive of race-based initiatives (Hurtado, 2005). 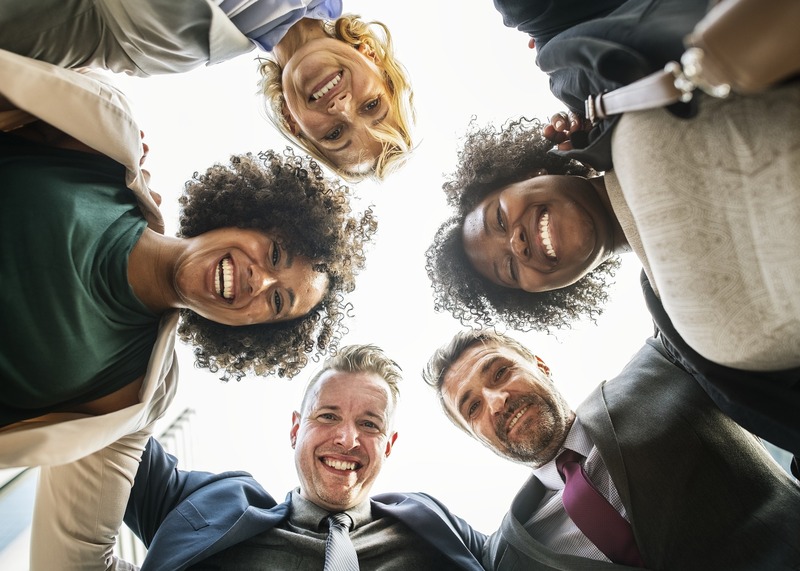 Students who take diversity courses and participate in campus sponsored diversity learning programs experience the greatest returns and are more prepared to participate in a diverse economy (Hurtado, 2005, p. 605). What is sustainability? Here is the simplest definition: Sustainability represents societal and individual efforts to meet the needs of the present without compromising the ability of future generations to meet their own needs. What does this mean? It means that people in industrialized countries have a lifestyle characterized by overconsumption that has impacted our planet in a very negative manner. The fossil fuels of oil and gas that we use to make or grow everything, from food to clothing, pollute the earth and also contribute to climate change. We also throw away a tremendous amount, and our waste, which often is composed of toxic materials, is having a disastrous effect on wildlife and on our own health. Our way of life, therefore, is not sustainable, and this has nothing to do with politics: it is simply reality. Okay, what does this really mean to me? Unless we begin to change the way we think and live right now, your children will encounter a world that will be less hospitable than today’s in terms of pollution, extreme weather, lack of water, lack of food, and loss of both plant and animal species. If all this sounds rather remote to you, think how interconnected the world is, especially what you buy, use, and discard each day. 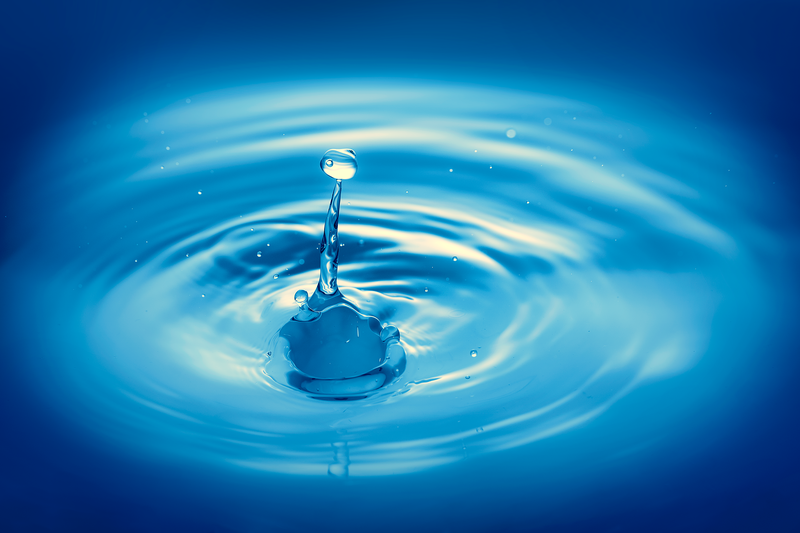 Everything you do has a negative or positive effect on the future of this planet, for what you do truly does affect the world in a very direct way. I’m curious, so where do I start? Your first step is to check out the Mavericks Go Green Web site. Next, think about taking a course or joining one of the organizations that you’ll find on the sustainability Web site. Finally, realize that sustainability is not a goal, but rather a process: finding out more, changing the way you live, and perhaps most importantly, talking to your friends and family about this as well. Learning to live in a more sustainable manner is something that you do every day, and the more you do it and talk about it, the faster we will get our planet reoriented in a better direction. The QEP will enable students across the University to identify and participate in these experiential learning opportunities that enhance their career preparedness, dedication to lifelong learning, and appreciation of a diverse and inclusive community. Next: 2.1 What Does a University Do?